The World Hospital Congress will take place next year, followed by the Royal Congress of Obstetricians & Gynaecologists (RCOG) in 2020. 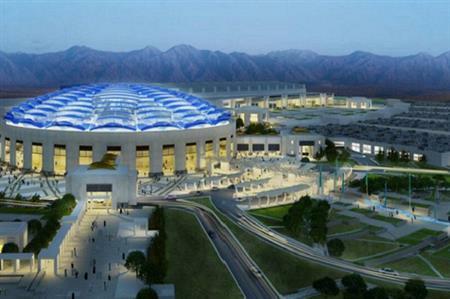 The events will be held at the new Oman Convention & Exhibition Centre (OCEC) within the Madinat Al Irfan development, which led the bid along with the Oman Convention Bureau. The World Hospital Congress of the International Hospital Federation (IHF) is expected to bring approximately 1,000 delegates to the sultanate and generate around OMR 800,000 (£1.5m) for the country. "Over the years, the healthcare system in Oman has made monumental steps in improving the medical facilities available to its residents," said Marisa Luisa Gil Lapetra, knowledge strategies manager of the International Hospital Federation. "Having recently visited Oman, I can honestly say that the authentic culture and heritage is truly breathtaking. This congress is an ideal platform for industry specialists to share thoughts on the strategies and infrastructure of the healthcare system. We look forward to having the 43rd World Hospital Congress in Oman." The Oman Society of Obstetrics & Gynecology won its first bid to host the Royal College of Obstetricians & Gynaecologists’ World Congress with the support of OCEC and the convention bureau. It is expected to attract 2,500 delegates in the spring of 2020. "The RCOG is very excited to be bringing our World Congress to Oman in 2020," said Lynn Whitley, director of business development at RCOG. "The brand new Convention Centre together with the enthusiasm of the local doctors and the beauties of Oman made it a winning combination and we are looking forward to a highly successful international congress." Once complete, the Madinat Al Irfan development will also include hotels, a business park, retail shopping areas and residential districts, surrounded by a nature reserve, parklands and a wadi park. The four-star Crowne Plaza Muscat OCEC, was the first of three hotels to open at the site. The five-star JW Marriot hotel and the completed Oman Convention & Exhibition Centre are due to open later this year. The Oman Convention & Exhibition Centre currently has 22,000sqm of column-free exhibition space that will be followed by the soon to launch, a 450-seat auditorium, two ballrooms, 20 meeting rooms with a capacity of up to 360 delegates, hospitality suites, a VIP pavilion and a tiered theatre with 3,200 seats.